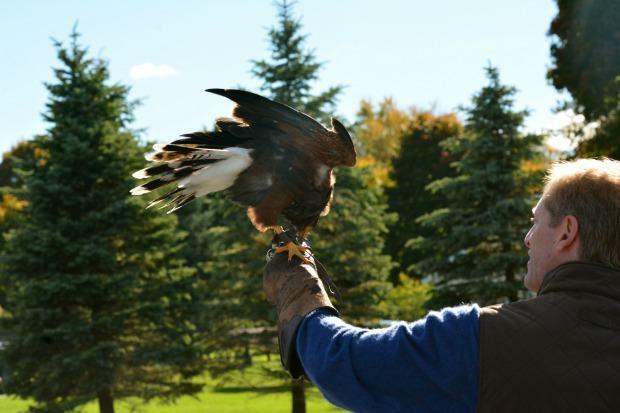 Falconers have experienced tight, sometimes mystical bonds with their hawks since ancient times. These relationships between human and bird have been the subject of art and literature, fascinating writers from Boccaccio to Gerard Manley Hopkins. For writer and naturalistHelen Macdonald, hawks hold a powerful emotional and therapeutic value. 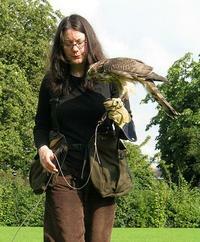 Macdonald's connection to her hawk, Mabel, is emblematic of falconers back to the ancients. 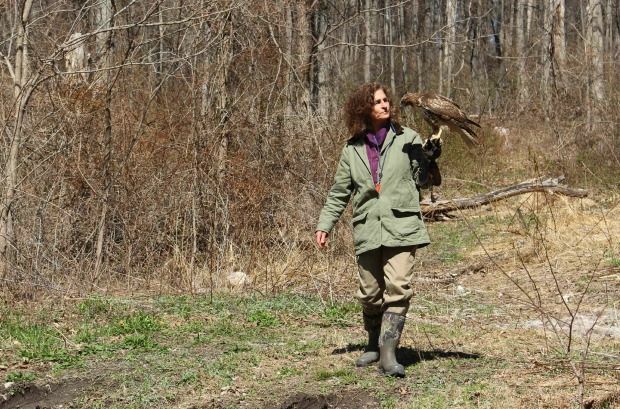 Inspired by Macdonald's best-selling memoir H is for Hawk,producer Sarah Montague follows Hudson Valley falconers who find that in working with the hawks, the line between reality and fantasy blurs. Hawks are liminal creatures --- they cross borders of hunting and art; they're at home in the wild, but willing to partner with us. Macdonald is in awe of the contradictions in these birds: "When you live with a hawk, they're bewitchingly complicated animals," she says. "One minute they're sleek killers and another minute they're snuggling up with you on the sofa watching terrible house removal programs." That close relationship that Macdonald experienced with her hawk sustained her for a time during her grieving process. But critic Kathryn Schulz, who reviewed H is for Hawk in The New Yorker, says that ultimately Macdonald realizes this relationship can obscure the bird's wildness. "She leans on it to make sense of her own grief and to make sense of her life," Schulz explains. "And as she herself starts to recover from her grief, she backs away from that position and realizes she's done a disservice to this animal, which is its own thing." Readings in this piece were performed byHelga Davis, Peter Devers, Andrew Joffe, John Keating, and Helen Macdonald.